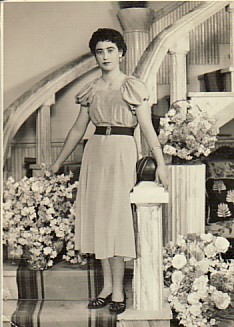 Above Right: At the panygiri of Agios Ioannis. 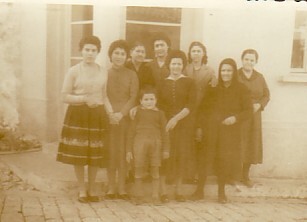 In the top row are: Dimitrios, Efstratia and Maria. In the bottom are: my sister, Efstratia, Katina, Thalis Limneou and myself. Above: With my cousin, Niki, and Stefanos Mihailaros. Above Middle: Leaving our village for Australia. 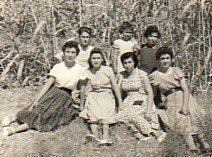 L-R: Anna Komtselli; my sister, Efstratia; my mother, Eleni; myself; my aunt Stella; Irini Patselli; Vasiliki Patselli; and my aunt Ekaterini. 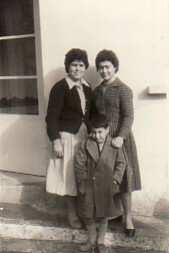 The young boy is aunt Stella's son, Ioannis. 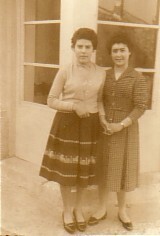 Above Middle: With Anna Komtselli. 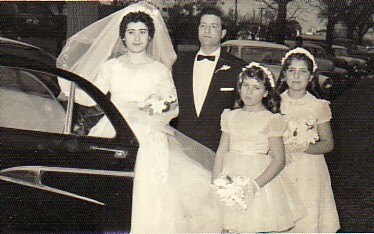 Above: On my wedding day, with my husband, Georgios. 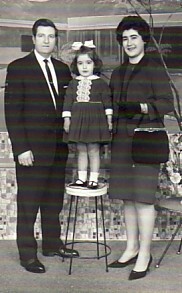 Above Middle: With my husband, Georgios, and our daughter, Elpiniki. 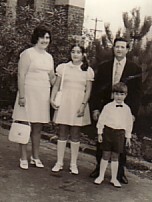 Above Right: With my husband, Georgios, and our children, Elpiniki and Ioannis.